Since the January 2014 introduction of the new RXS3 API and its improvements, our RPG-XML Suite customers have continued to make suggestions for even more features and new functionality. At Krengeltech we embrace these suggestions to allow developers to leverage their existing RPG skills and couple them with newer, advanced technologies. Below are some simple code examples of the enhanced features highlighted above. 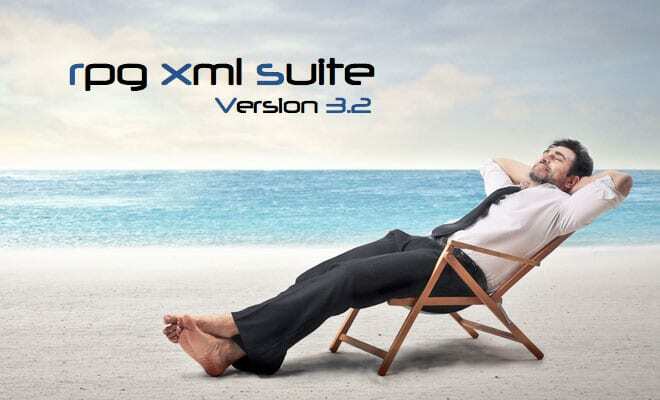 Interested in installing or upgrading to RPG-XML Suite version 3.2? Contact our support team directly at isupport@krengeltech.com. Coming next to RPG-XML Suite? JSON composition and parsing!